CLEVELAND, OH – The Journeys Alternative Press Music Awards, Fueled by Monster Energy Drink are thrilled to finally announce that on July 17, 2017, the main event will return to Cleveland’s Quicken Loans Arena-home court of Lebron James and 2016 NBA Champions, the Cleveland Cavaliers! 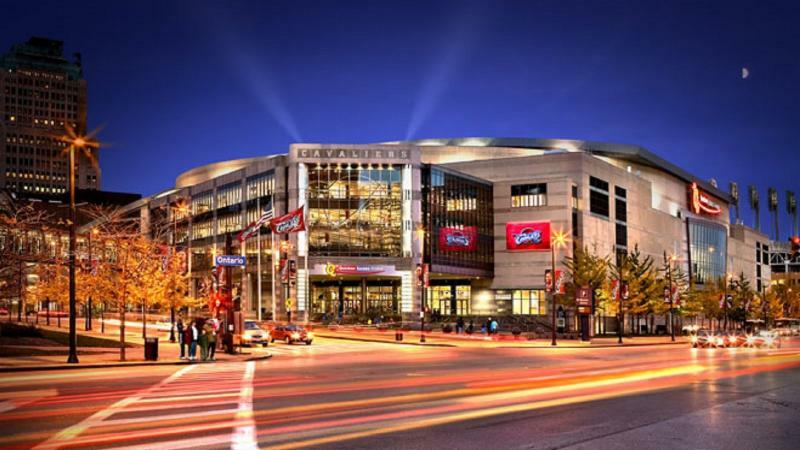 The massive facilities at Quicken Loans Arena are the perfect location to host this year’s show, which will transform into a refreshed, produced-for-television atmosphere to fully immerse fans in the action. Alternative Press CEO Mike Shea states, “It’s so amazing to bring the AP Music Awards back to the legendary Q Arena here in Cleveland. It’s a world-famous sports and entertainment venue and for us to hold the fourth annual APMAs here is still such a humbling experience. In addition to bringing the biggest names in alternative music all together for one special night, the APMAs also bring them to the birthplace of rock ‘n’ roll – Cleveland, Ohio. 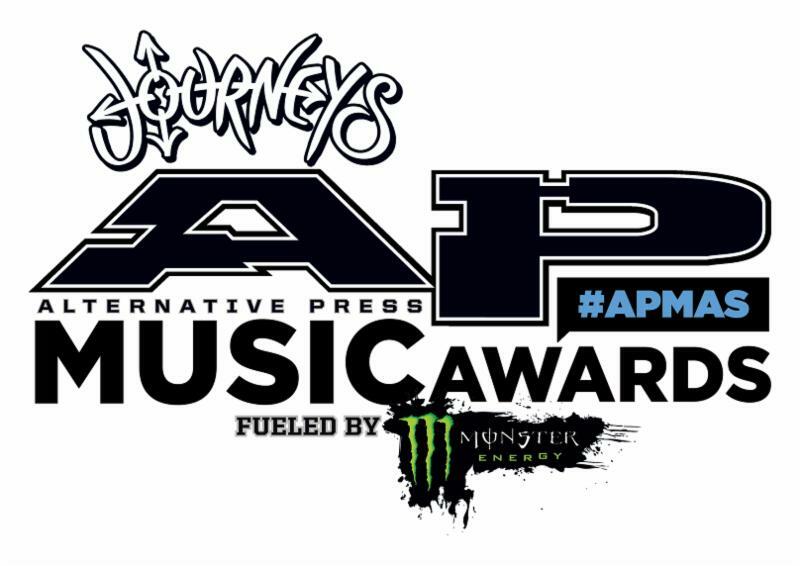 The 2017 Journeys Alternative Press Music Awards, Fueled by Monster Energy Drink will be hosted by alternative culture superstar Andy Biersack (Andy Black, Black Veil Brides) and promise even more of what fans have come to expect from the show – huge stars and incredible performances presented on a scale worthy of the most exciting genres in music. The wait is over! Early bird and VIP tickets are on sale now at www.altpress.com/apmas, and regular tickets will go on sale very soon. Early bird tickets allow fans to grab tickets at the lowest possible price – save money and get yours now! In addition, VIP tickets are available – including Monster VIP Table, Ultimate VIP and Premium Seating packages – offering the best seat in the house! The Monster VIP Table, which positions fans right in the action, includes up-front-and-personal floor table seating for two, premier hotel accommodations, red carpet VIP viewing, admission to the Rock And Roll Hall Of Fame, exclusive goodies and more. With the Ultimate VIP package fans will have a special place on the red carpet, get to attend a VIP signing before the show, receive two tickets to the Rock And Roll Hall Of Fame and more. The Premium Seating package guarantees fans a seat close to the action, plus a discounted ticket to the Rock And Roll Hall Of Fame. Visit the link above to get yours before they are gone – last year’s Monster VIP tickets sold out in less than three hours! Details regarding the 2017 APMAs tickets, nominees, honorees, attending/performing artists, red carpet appearances, surrounding events and more will be announced soon via www.altpress.com/apmas. Last year’s APMAs trended worldwide on Twitter and Facebook for over 72 hours – before, during and after live streaming on Amazon Music‘s official Twitch channel, reaching a staggering 500,000-plus viewers. The APMAs were the most viewed stream on Twitch the day of show, in addition to being the No. 3 most viewed music stream in the platform’s history. Social media reaction and fan response spread fast and furious across the internet following the red carpet and awards ceremony, reaching 25 million people across Facebook, Instagram and Twitter. In addition, over 240,000 Twitter users tweeted the #APMAs hashtag during the show. Each APMAs show has featured some of the greatest artists in modern music, ranging from today’s biggest rock stars such as Fall Out Boy, Hayley Williams of Paramore, Panic! At The Disco, Twenty One Pilots, Machine Gun Kelly, Papa Roach, Black Veil Brides and Weezer, to musical legends such as Aerosmith‘s Joe Perry, Slash, Joan Jett & The Blackhearts, Billy Corganof the Smashing Pumpkins and Ice-T. Countless renowned artists such as Rob Zombie, Mark Hoppus of Blink-182, All Time Low, Marilyn Manson, Run of RUN DMC and beyond have appeared at the APMAs, with spectacular performances from artists including (but not limited to) New Found Glory, Yellowcard, A Day To Remember, Laura Jane Grace of Against Me! and more. Additionally, the APMAs are recognized for presenting collaborative cover performances unlike music fans have ever seen before, combining the legendary talents of Joan Jett and Slash, Asking Alexandria and Korn, Halestorm and Slipknot/Stone Sour vocalist Corey Taylor, Rob Halford and BABYMETAL and many more. Alternative Press just announced the ultimate Panic! At The Disco fan issue, and it hits stores next week, but you can pick up a copy right now at altpress.com/newissue. 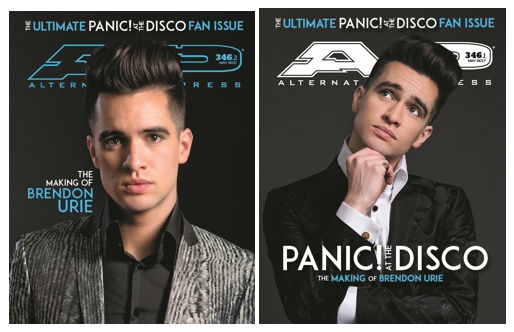 The issue includes an exclusive interview with Brendon Urie and details everything from his thoughts on his first AP cover 11 years ago to his nightly routine of selling out arenas, how he ended up doing Fall Out Boy‘s drunk history, his time as a Vine superstar and the future of P!ATD. In case all this isn’t enough, it’s also filled with extra posters! For over 32 years, Alternative Press continues to be on the forefront of discovering new artists, breaking news and reporting on the latest trends in music and youth culture. Since its early days as a pasted-up fanzine in the mid-’80s, Alternative Press is one of the largest music magazines in the world. AP provides in-depth interviews and exclusive photos, making it an essential collectors piece for a passionate fan base, as well as digitally through various mobile and tablet formats. AP has expanded its digital reach via an enhanced mobile app andAltpress.com, one of the world’s fastest-growing websites. The site has become a necessary destination for up-to-the-minute breaking news, coverage from our national APtv correspondents, exclusive multimedia premieres and much more. Additionally, the brand has been successfully extended through live events, beginning with the launch of the AP Tour and the company’s inaugural AP Music Award Show, which trended No. 1 worldwide on Twitter and Facebook. Independently owned and operated, AP continues to reach millions of fans, offering them insight to the hottest artists and cultural trends first. PreviousSABATON Distinguished with Gold and Platinum Awards!